I've missed several days in my "May Month of Blogging" so I thought I'd do a quick recap, mostly for my own benefit so my feeble mind can remember the weekend events at a later day. My cousin arrived late Friday night, we didn't get to bed till almost 2am, but we were up and running Saturday morning. After grabbing a quick coffee at Peet's, we walked around Union Square a bit, drove through town then headed to Santa Cruz. 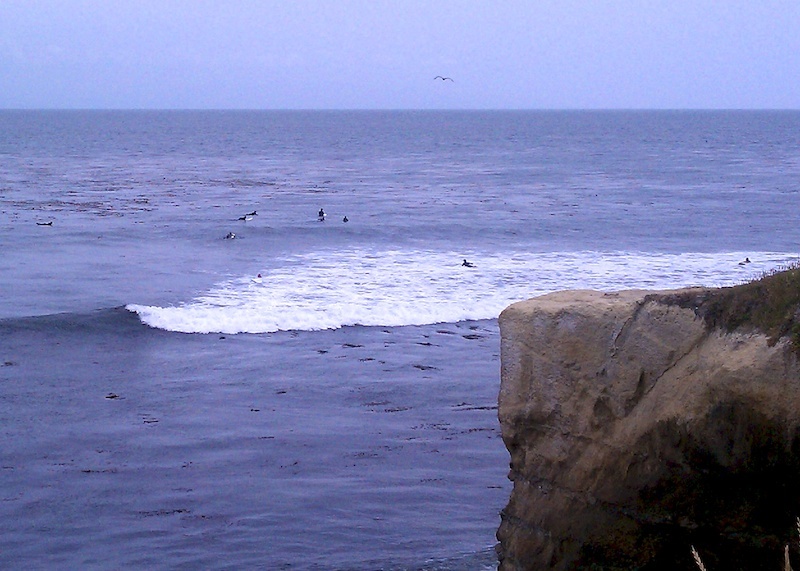 Surfers in Santa Cruz. 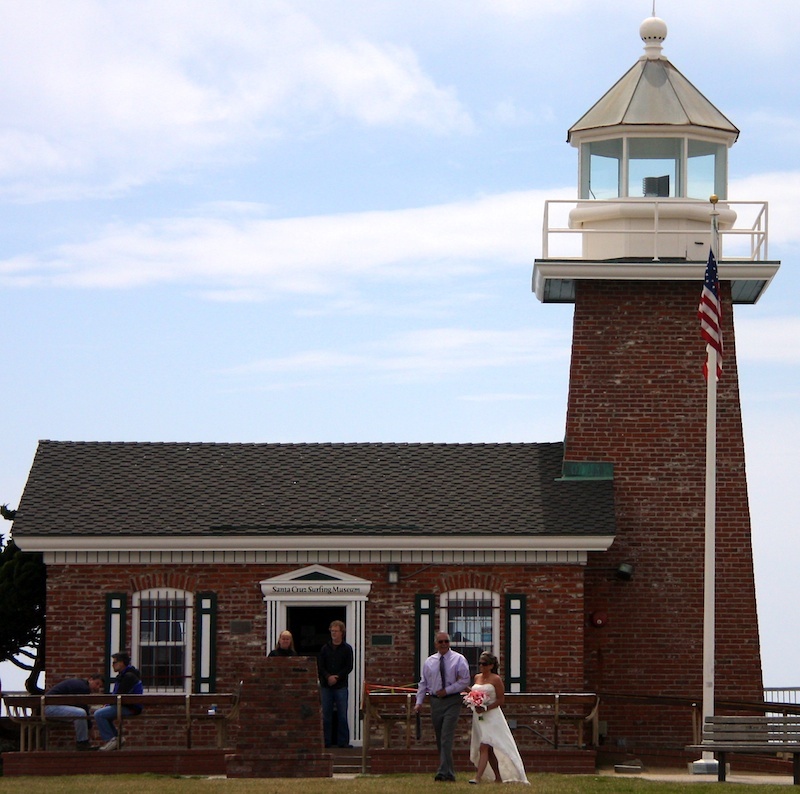 Glimpse of a wedding by the light house. After a quick drive through Capitola, we headed to San Jose. A drive along El Camino Real from San Jose to Redwood City was a drive on Memory Lane for us. Before she moved to Seattle, we drove many miles along that road. 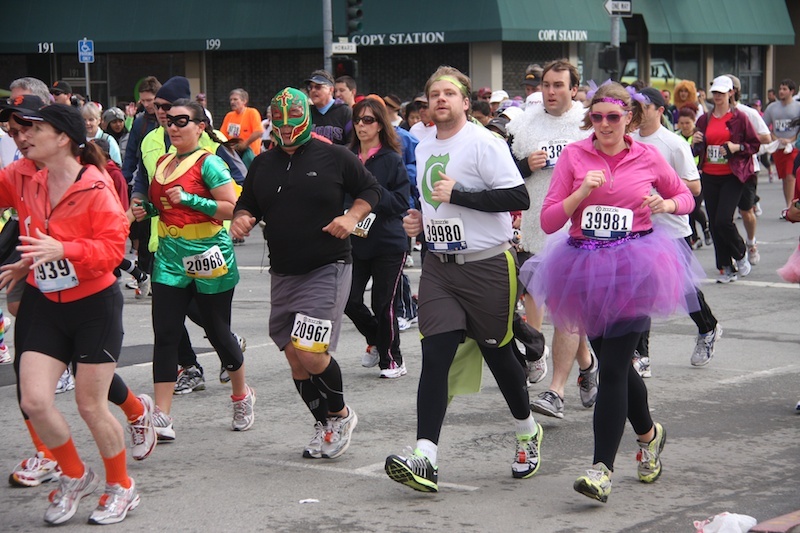 We woke up very early Sunday morning to watch the Bay to Breakers race. The course runs close to where I live, so we were guaranteed a good spot to watch 55,000 people run/walk by in their crazy costumes. 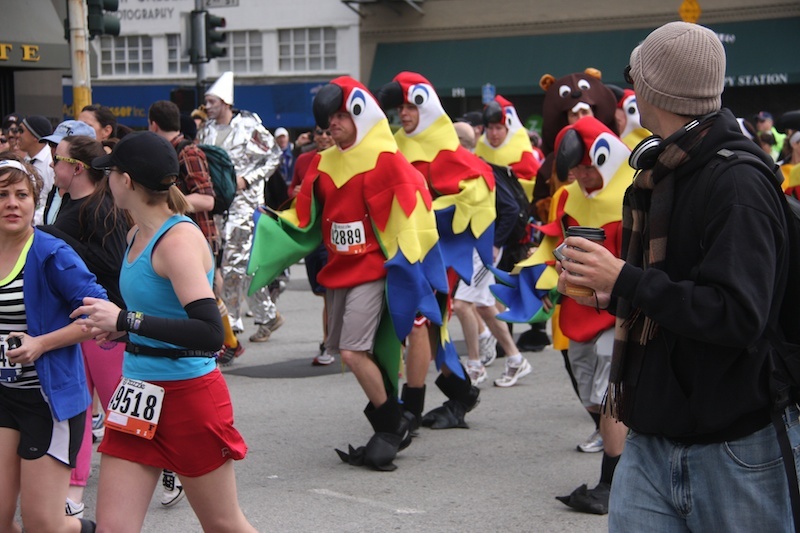 Bay to Breakers is a 12k (7 miles) that runs from the Bay near the Bay Bridge, to the Pacific Ocean, or Breakers. I'd love to do it one of these years. 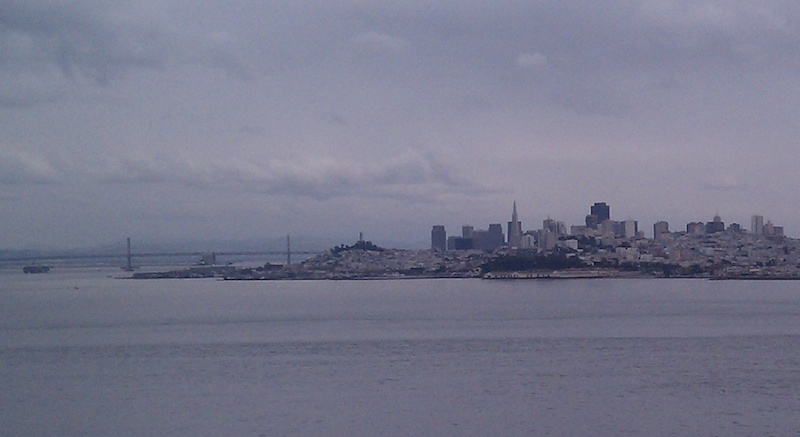 The rest of the day, we explored the East Bay till we met up with one of her friends for shakes at the Peninsula Creamery. Before she left Monday evening, we went to the Ferry Building, took BART to where she used to work in the Financial District, went to Pier 39, had lunch at Fog City Diner and drove across the golden gate bridge into Sausalito. I only wish the weather was better - it rained almost the whole time she was here. But we didn't let it stop us. We had so much fun. That was quite the major tourist trail.... you should get a part-time job as a tour guide! Knowing you, Mad, nothing ever rains on your parade!